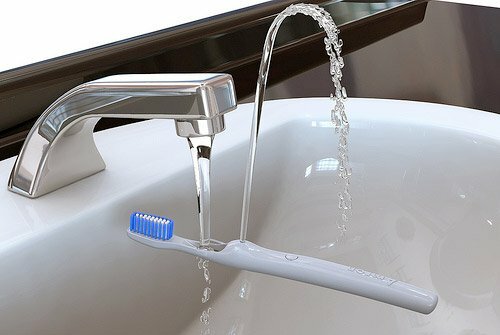 This is no ordinary toothbrush. It redirects the flow of water and creates a fountain when you place it under the tap. Admitted: there are a lot of other ways you can rinse your mouth but this is without a doubt the most elegant one we've seen so far.